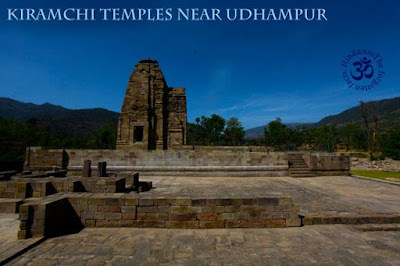 The temples dated circa 8th-9th century A.D. Kiramchi may have been founded by Raja (King) Kichack, a contemporary of the Pandavas of the Mahabharata. The latter are said to have spent a long time here during their exile. Kiramchi is also believed to have been the capital of Bhuti, one of the principalities of Jammu region ruled by the successors of King Daya Karan who founded the Bhutial dynasty. The last Bhutial ruler, Himmat Singh, gave up Bhuti to Raja Gulab Singh in 1834 whose descendants ruled Kashmir till India’s independence in 1947. Dedicated to Lord Shiva, but only one of the seven temples has a small Shivalinga. Another is used by devotees of Maa (Mother) Durga. While some of these temples have been restored, others are in their original state. Excavations have unearthed many terracotta figures, copper coins, iron arrow heads, beads of semi-precious stones, pestles and earthen pots on this site.